On this episode of the podcast, I’m delighted to be joined by Irene Atkins, the Head of Treasury at ASOS.com. Irene previously worked as the Global Treasury Consulting Manager at EDS for almost ten years before working as Head of Global Cash Management at Travelex. She then accepted the role of Head of Group Treasury at Specsavers before joining the team at ASOS. ASOS is a global fashion retailer with over 85,000 product lines across womenswear, menswear, footwear, accessories, jewellery and beauty. Founded in 2000 in London, the company is primarily aimed at young adults with over 4,500 new product lines being introduced each week. As the fastest growing online retailer, they are continually striving to push boundaries and drive the business even further forward. 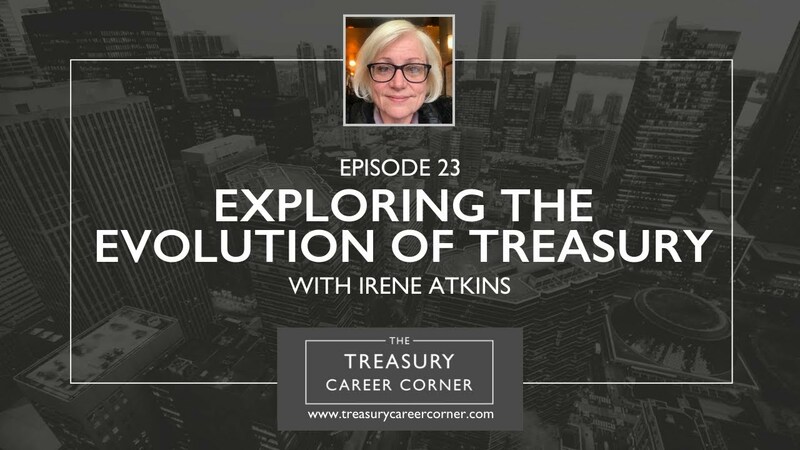 I thoroughly enjoyed my conversation with Irene, where we talked about how she built her impressive career in treasury and where she sees both herself and the treasury profession going next. We also dived into the challenges she faces in her current position and what the next step will be for her and ASOS as they continue to grow. If you’d like to get in touch with Irene, you can reach out to her via her LinkedIn profile. Whether you’ve recently graduated, or you want to search for new job opportunities to help develop your treasury career, The Treasury Recruitment Company can help you in your search for the perfect job. Find out more here. Or, send us your CV and let us help you in your next career move!